Hearing aid technology has changed dramatically over the years. You may remember the big, bulky transistor-based analog devices of the past. They were uncomfortable to wear, and sound quality was inconsistent. With the advent of microprocessors and digital circuitry, hearing aid technology took a big leap forward. Today’s instruments offer features unavailable in the past, and unparalleled sound and clarity. The first all-digital hearing aids appeared in 1996 and, while analog technology still exists, the majority of hearing aid manufactured today are completely digital. The technology is too beneficial not to take advantage of. Digital hearing aids convert sound waves to digital signals using digitized sound processors. An internal microchip can differentiate between speech and noise, and convert the former to clear, amplified signals. Digital technology improves the programmability of hearing aids, allows for a more precise fit and has led to improved functionality and ease of use. Gain processing. This helps reduce background noises for clearer sound quality and improved speech comprehension. Digital feedback reduction (DFR). Reduces or eliminates feedback. Digital noise reduction (DNR). Reduces distracting background sounds. Directional microphones. Dual microphones work in tandem, with one focused on the sound source to amplify the signal while the other is used to decrease background noise. An additional benefit is improved directionality. Wireless connectivity. Many hearing aids incorporate Bluetooth technology to provide a direct link with a number of electronic devices including mobile phones, MP3 players, computers and televisions. 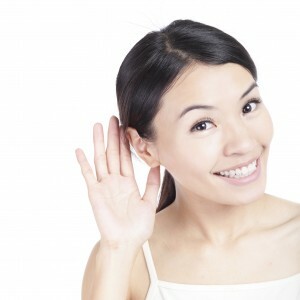 As digital technology continues to improve, hearing aid are likely to incorporate features we can’t even imagine today. This should lead to further improvements in performance and usability.